Slemma is a simple business intelligence software that helps modern businesses leverage data into advantages online with less effort. "Slemma is a great BI product for the startups out there!" The tool is easy to setup and a 100% online solution. The data connections out of the box are very useful, scheduling functionality is straightforward, sharing with outside the company contacts is user friendly and exporting dashboards and reports to PDF is very convenient. Also, Slemma is one of the few products that we found on the market that work with PaaS services (like Heroku). This was a deal breaker for us, because in other solutions you can try a direct PostgreSQL connection, but Heroku has certain additional characteristics for achieving that. Support out of the box save us a lot of configuration time! While exporting to PDF is great, delivering those same dashboards and reports via e-mail could be a bit of a hassle. My issue here is when the system convert those to PDF, the visual presentation could be very different and for non-technical users, difficult to read or to correct. Also, I recommend to implement a better login session. I don't know why, but if I close a browser tab with my account open, then try to enter my account again in the same browser, login credentials are required again. We wanted to measure our sales team performance. Current BI solutions are very robust and complicated for our current needs, and also very expensive. Slemma is a practical tool with a price we're glad to pay in exchange for its current functionalities. 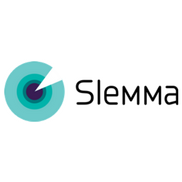 "Slemma: An Account Manager's Best Friend"
Slemma is always improving their platform for the most optimal way to collect data. So Slemma is constantly making it easier to extract data from a data source and put it into a visual that makes it easy for my clients to see and access. I love the cache feature that makes all the graphs as up to date as possible for our clients to access and base business plans around. Even though there a tons of different features to use in Slemma, the descriptions of all its functionality is not only accurate but very easily understandable so creating charts and dashboards have never been easier. While every program has it's flaws, Slemma's is as minimal as it gets. In my past experiences, I had some confusions on old functionalities that they changed when they rolled out their big update, but their support and team was there to quickly answer my questions and clear up my confusion. I am solving the often inaccessibility to the most current up to date data as easy as possible. So having set a cache option for daily updates allows our clients to access their dashboard and analytics without ever having to worry about the data not refreshing or the lack of the most current, accurate data. "The team at Slemma is an extraordinary group with great responsiveness!!" I like knowing that Slemma is constantly working on improving their product. From releasing new designs and wizards, rolling back small features that got lost in the shuffle, testing and completing new integrations. And then improving and extending those integrations via a robust set of API's. I dislike the integration of a Mondrian based MDX format query language on top of all of the database connections. I would rather work in the native environment for MongoDB than to query it via the system that is now in place. Give it a trial, I think you will like it. Because of the now vast set of integrations that Slemma offers, I am able to view our company as a vertical slice of technology solutions that report back their data and allow us to analyze our customers. see what is working and what is not, and pivot to a new path when necessary to make the most of our business. Slemma allows me to quickly configure access to a number of datasets, and share those to everyone within my organisation. With access to those datasets, the people with user accounts on Slemma can use the intuitive UI to quickly produce charts which allow us to gain greater insight into the data that exists within the organisation. At the moment, there are still a few niggles with Slemma. It seems to really struggle with large datasets - one of our data sources contains > 5m records. Additionally some of the charts don't behave how you would expect. That said, I can see that there is an active support community working behind the scenes and any problem which I have previously raised has been solved quickly. Because of the fact that Slemma doesn't attempt to be the datastore as well as the reporting tool, I can recommend just trying the tool out. I also think that you need to be ready to trial it with some questions you want to ask of your data. The trial that we conducted wasn't as effective as it could have been initially, because though we had a use case in mind, we didn't have specific trials we wanted to run. Think about how you'll be using Slemma before trialling it, so that you give it a fair trial. Up until now, I have been the single point of reporting knowledge. Everyone can understand why that isn't good. Slemma has enabled us as an organisation to provide people with a tool set which allows them to interrogate the data for themselves and gain the insights which they require. "Awesome product, managed to completely break it when they migrated to the new service but fixed now!" Ease of querying postgres database. Filters make it very very easy to to date queries. I actually often use slemma rather than querying our own database directly. Visuals, although basic are very nice. Doesnt need much effort to make it a presentable dashboard. Ability to click through on graphs and get break down for each column is very good . When the software migrated to the new version (2 weeks ago or so) minute refreshing was removed from our plan, we we're then given it back but it was broken for the following two weeks. Google analytics / adwords integration is quite complex, but this could be the fault of the google product. Quite difficult to merge two datasets on to the same graph. i.e. how do you show your adwords spend vs your revenue from a postgres database? Site isn't very responsive for mobile, changes order and you loose any click through ability. A mobile version of slemma would be excellent, our team often need to check it while out and about. It is very easy to integrate new sources of data and write new dashboards for client and internal users. It has saved us an incredible amount of time our IT time was spending on writing report and some of our users are even able to do it themselves with little help. The functionalities are a bit limited to do complex reporting. We use slemma to solve our data analytics and reporting problems and provide the user from the different branch of our company with relevant data for their business. It is also used to report on our day-to-day KPI and sales. After using it for a few months, we have been able to move 80% of our reporting on their dashboards from our house application. "Slemma - A great accompaniment to our CRM"
It's ease of use, and the many choices of graphs/charts to choose from. It syncs flawlessly with our CRM and automatically updates itself whenever our data changes. It's not only accurate, but it's simple to use with many variations of graph/charts to choose from. Sometimes I want to add two separate datasets on the same chart, which I'm struggling with at the moment. Also, I sometimes find that when pairing with Excel things can get a bit glitchy. Either way, whenever I have any issues, the helpdesk at Slemma are always quick to help and provide a good solution. The CRM we currently use doesn't have a good reporting function, so bringing Slemma in has been a huge benefit. It's simplicity to use and stylish format is a winner for everyone using it here. "Excellent company and superb customer service!" We are able to easily organize and visualize our data to make better business decisions. The white label has been a great success with our clients and we are able to make internal dashboards for our team as well as professional dashboards and presentations for our clients. Slemma is an excellent company and we are looking forward to continue working with them for many years to come. "Easy to use lots of connectors"
My favorite thing about Slemma is that they connect to all of the tools that I use. I can easily cross reference my HubSpot data with my google analytics to see the effectiveness of my campaigns. There's nothing I really dislike, however, I wish it were easier to blend data from different sources. I'm finally able to dive deep into my social media data. Prior to using Slemma, I was using a lot of guesswork to determine what and when to post on Instagram, Facebook and Twitter. 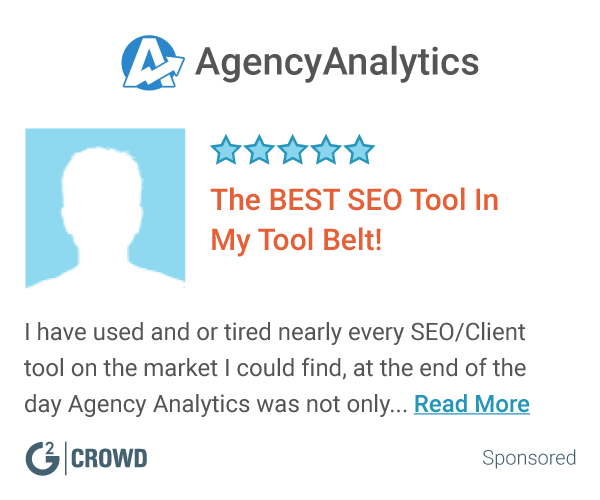 With Slemma, I can see what content works, helping me to inform my overall content strategy. "Slemma fits our reporting needs"
We love being able to provide our clients dashboards based on our data. It's relatively easy to create interactive and useful charts and graphs. The customer service is very responsive. Needs to integrate with additional apps such as AirTable. Often the knowledgebase is unclear or syntax for calculations is hard to understand. No mobile app. We use Slemma to provide our client insights into the data we generate on their behalf. It's a great way to provide them real-time information in a very visually pleasing and easy to use way. Slemma is really good analytics solution for startups. We are able to track metrics at the drop of the hat. Connecting to data sources was really easy and the instant dashboards made set up a lot easier. There could be a lot more of those pre-built dashboards. It may be a semi-new feature because there are only a handful now, but they are easy to edit - so for a small company like ours we don't have to spend a lot of time getting our dashboards. More pre-built dashboards would be huge! (especially for social media channels). Since we are a very small, and relatively new company we don't have a lot of data. But Slemma helps us organize and keep track. So I can recommend Slemma for start-ups. Slemma really helps us track our marketing initiatives and sales. The best part about Slemma is it's easy to use interface to connect data sources and create great looking interactive dashboards. Slemma can be very slow sometimes and some basic data analysis equations are missing when creating tables and charts. For startups looking for a data analysis/BI tool that isn't overly complex and is easy to use by lower level employees, give slemma a shot! It's just enough for a small start up until they grow and need something more powerful. We're doing our customer experience data analysis with Slemma without having to get our BI team heavily involved and making the process too complex. We're seeing quicker turnaround time in creating monthly reports and having them easily understood by all stakeholders. We were previously using Excel and sending out a massive Excel file and that was not working. "Great way to integrate data from multiple sources and aggregate in one solution!" Slemma integrates with almost every solution my company currently uses. We're able to compile and compare data from multiple sources all in the same dashboard. It's a great way to utilize our Marketing, Sales, and Customer Service/Support data in once place, rather than keeping them in separate silos. Slemma has great support. From the first day I started using this tool, I've received prompt answers and ideas to help with any confusion that I had. The system seemed confusing at first (although this was before I watched any video or asked for help), but once Support walked me through things, it was very easy to manage. Ask questions! Their team is very helpful and makes it a priority to help educate their users on their software. We are now able to pull data from tools like Salesforce, Hubspot, and Google Drive and compile them in one place. The ability to have all of this information in one spot, rather than numerous spreadsheets and have a visual of our data is awesome. We have quite a few other SaaS solutions that are compatible with Slemma- definitely looking forward to creating data visuals for these as well. Set up was incredibly easy. Onboarding took less than a day - past experience with analytics solutions at other jobs was not as simple. I wish Slemma supported 'excel-like' calculation functions. This function can be a bit difficult without a technical background. Would love to see this calc function workflow simplified! Slemma is great for anyone looking to build analytics dashboards, without any technical background. Support has been really responsive when I've had any issues. (Mostly when working between filters in the dashboard vs in the chart builder). Analytics is a big part of our office culture. Department heads use Slemma in order to help us make better business decisions - as well as using historical data to help decide steps and budgeting on future projects. Slemma offers easy integration with multiple datasources and a nice interface to create dynamic dashboards. While it is an essentially code-free setup for data import and aggregation, calculated metrics can be tricky to implement so it helps to have someone with basic DB or programming knowledge to do this. A dashboard of KPIs is on display in the office for the team to track performance - easily combining data from Google Analytics, Zendesk, Mailchimp and our own sales DB has been very beneficial. We've also created a dashboard specifically for board meetings with some more complex calculations and forecasts which is very handy. "Slemma allows easy creation of sales, marketing and general business dashboards"
Great if you are integrating with one of their existing supported connectors. Real time reporting. Giving clients access to real time data without the constant need to generate reports from Excel and email them over. "Brilliant tool for visually pulling together different data sources"
Slemma is great at integrating a number of different data sources into one comprehensive dashboard. It is also pretty easy to style once you get used to the system. There are some time bugs which can make the system hard to use. If you can take the time to set up the dashboards and presentations, it is a great tool. But it does take time to work out which options are most meaningful. We use it to provide our clients with digital dashboards. It's quick and easy to get going. Linking to a wide range of data sources is easy. Some of the filtering isn't intuitive. Options aren't available and its not obvious why. Snap to grid is a bit too enthusiastic, and moving a chart can lead to several charts changing position. The user interface is very good. The product is excellent value for money in comparison with majority of other comparable products/service we looked at (of which there were many!). The support team is very helpful and responsive. There is a bit of a learning curve to get to grips with its capability. Service would benefit from some detailed video walkthroughs of some of the more advanced aspects of it. Turning big data into critical business insights. "Awesome frontend tool for your Big Data needs." Big data frontend tool for game analytics needs. "Great Tool - With Some Room for Improvement"
Sales reporting for our CRM tool. "Slemma provides a great and affordable method for data visualizations"
The ease of use. Data sources were simple to link and, likewise, report design was simple and intuitive. The options for formatting and adjusting tables were too limited, relative to the amount of customization available for charting. We used Slemma to provide summary reporting to manage the planning and execution of a major conference. * We monitor all Slemma reviews to prevent fraudulent reviews and keep review quality high. We do not post reviews by company employees or direct competitors. Validated reviews require the user to submit a screenshot of the product containing their user ID, in order to verify a user is an actual user of the product. Hi there! Are you looking to implement a solution like Slemma?